It’s not gelato, it’s not ice cream – it’s Island Cream® – and there’s absolutely nothing else like it! 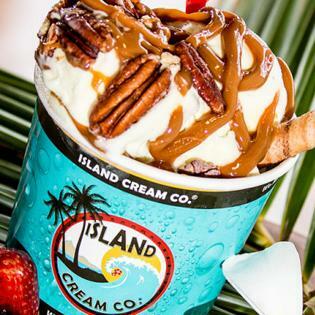 Featuring hand made creams, waffle cones & toppings – Island Cream Co.® in the Lahaina Gateway Center was voted the best ice cream in the state of Hawaii on Buzzfeed. And with a variety of sundaes, sorbets & unlimited samples – you can definitely get your fill! 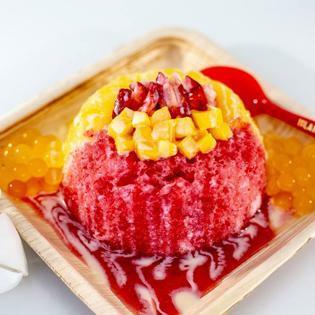 The unique Glacier Ice Station™ provides the Ultimate Shave Ice Experience® – with 36 syrup flavors and a rainbow of toppings available. Try the Sposhy™ – Glacier Ice™ filled with Island Cream® and topped with real fruit chunks & puree – a new Hawaiian must-do! 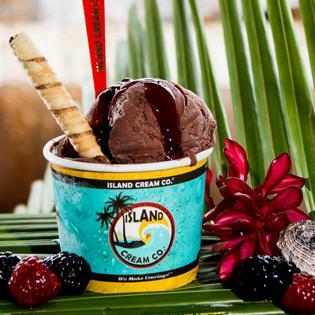 Island Cream Co® in the Lahaina Gateway – We Make Cravings®. This is ice cream you can’t get anywhere else in the world! With plenty of free parking. And be sure to mention the TV ad to your server for a special discount! Today there are countless variations of Gelato, Ice Cream and other frozen desserts. Unfortunately over time, and due to expense, many recipes that were great years ago have lost their spark—the very taste that used to be amazing and was the reason for their success. 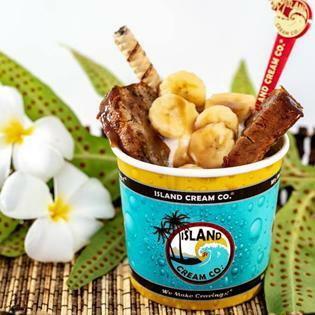 At the Island Cream Co., it is our desire to bring excellence to every recipe—we want every flavor to be the best you have ever had. All of our products are hand made in house and we use the finest, natural products—bought locally as available. We will have tastes & recipes you have never had before. We bake many products to incorporate them in our creams—like shortcake, chocolate cake, cookies & popcorn! Yes—these are actually in our products! Like Waffle Cones? We make them by hand also–our own recipe. What do you like–Vanilla, Chocolate or Cinnamon? We have several flavors of cones just for you! We say “We Make Cravings” because–we believe we do! Just try a few of our special recipes and we think you will agree! You will be craving our special tastes!